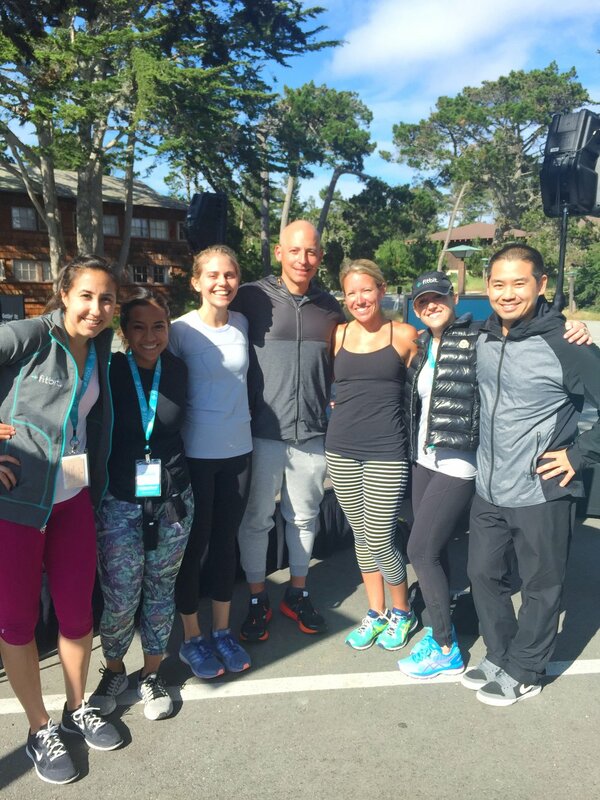 Celebrity trainer Harley Pasternak leads a Fitbit employee workout. Fitbit held it’s annual Sales and Marketing Summit at the Asilomar Conference Center in Pacific Grove California. The employee event was the opportunity for the sales and marketing staff to learn about the few Fitbit products and accessories releasing later this year. I had a couple of responsibilities during the conference. One of them was to play music in the main meeting hall while attendees entered and exited the room. Also to play music and keep the vibe going at different times during the presentations. 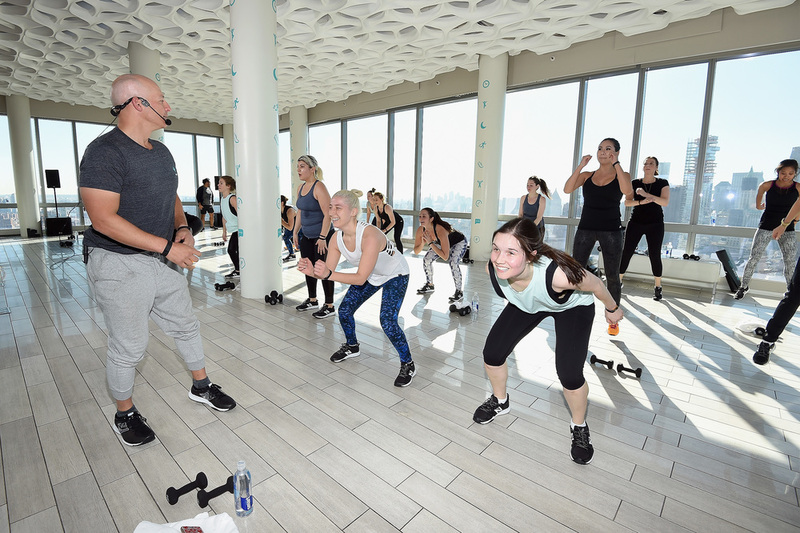 I was also brought in to partner up with Harley Pasternak again as he led a workout at the end of the second day of the event. The workout was for the employees, who were outfitted with new, not yet released Fitbit devices. This allowed them to get hands on use of the fitness wearables. Harley is a lot of fun to work with, as it was the second time around I was able to work with him. The first being in New York City for the launch of Fitbit Alta. Here’s a look at the setlist for the summit workout. A roller coaster, Pacific Ocean, the Santa Monica Pier and a few hundred people were the perfect setting for the launch of Fitbit Local Los Angeles. Fitbit Los Angeles ambassadors, Todd McCullough and Elise Joan. I was back in Los Angeles on Saturday, March 5 with the Fitbit team to DJ another yoga and fitness event. It was also another event that adds another city to the Fitbit Local roster. Hundreds gathered for a boot camp workout and yoga flow led by Fibit LA ambassadors yoga instructor Elise Joan and personal trainer Todd McCullough. Of course this was all DJ’d by yours truly. The Fitbit Local program is a series of monthly meet ups to encourage Fitbit users to gather, mingle, exercise and sweat. It's currently underway in San Diego, San Francisco and now Los Angeles. The energetic duo led a 60 minute workout/yoga session on the historic Santa Monica Pier that perches over the Pacific Ocean. Not a bad setting for an outdoor, Saturday morning workout. Despite a forecast of rain, a pier under construction and cloudy skies, the people of LA made it out and were part of a great event. A big thanks to Kind Snacks and Suja for distributing goodies to the attendees. During the next few months, Todd and Elise will host free meet-ups for anyone in the LA area looking to get moving and healthy. For a complete list of these free workouts, check out the Fitbit Local website. Here’s a look at the setlist for both the boot camp workout and yoga session. Kind Bar and Suja Juice were on hand to distribute goodies to the attendees of the Fitbit Local Los Angeles kick off event. Fitbit ambassadors Elise Joan and Todd McCullough. They led a workout with music played by San Diego based, yoga and fitness DJ, Justin Kanoya. Fitbit ambassadors Elise Joan and Todd McCullough led a workout led by San Diego based, yoga and fitness DJ, Justin Kanoya. Fitbit marketing team with ambassadors Elise Joan and Todd McCullough. They led a workout with music played by San Diego based, yoga and fitness DJ, Justin Kanoya.